Earlier this month, we went to DecadenceÂ in New Orleans. It was great to have such a young crowd join us this year for our first year participating in the parade! We can't wait for the costumes next year! Our Shreveport chapter has been super busy! They held a fundraiser at the North Louisiana Gay & Lesbian Film Festival on September 8th, secured commitments from mayoral candidates toÂ engage with LTA on issues that impact transgender citizens in Shreveport, and have been preparing to launch an exciting new program (watch for updates ðŸ˜‰). 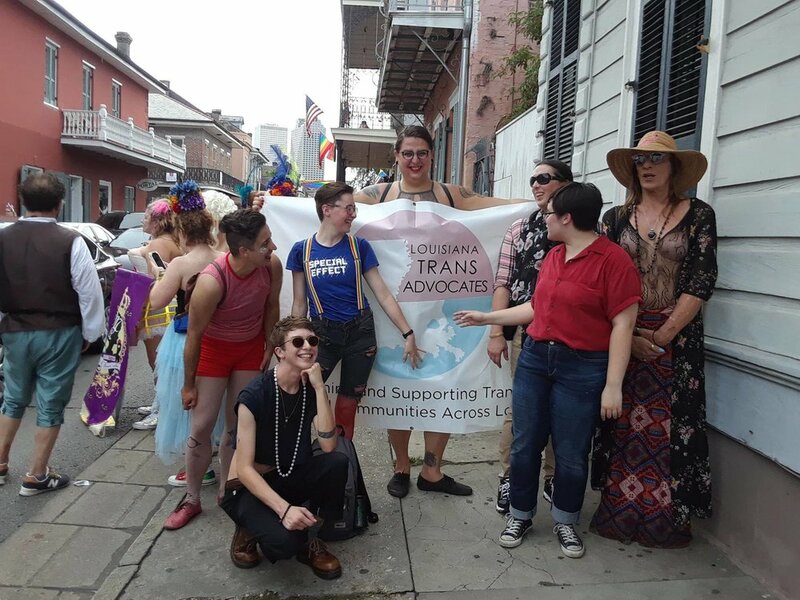 Louisiana Trans Advocates is going to Creating Change! The Creating Change conference, hosted by the National LGBTQ Task Force, is the largest gathering of activists in the LGBTQ movement in the country. DONATE TO THE LEADERSHIP DEVELOPMENT FUND TODAY!